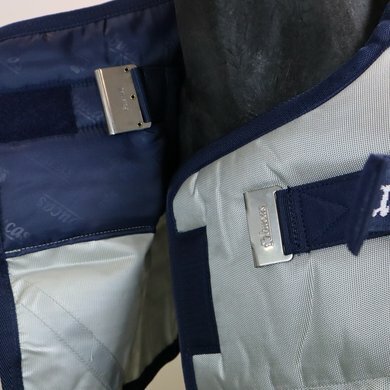 The Bucas Power Turnout Light High Neck is made of the strongest, waterproof ballistic nylon with a special heat-reflecting aluminum coating and a silver exterior, to protect your horse against the harsh weather conditions. 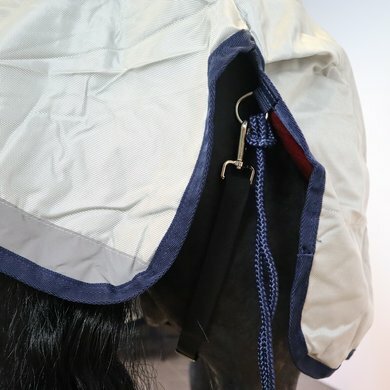 Thanks to this technology, the heat can be kept inside or reflected outwards if desired, so that the time that your horse can wear this blanket becomes longer - this intelligent system ensures that your horse has the perfect temperature at an outdoor temperature of -10 ° to + 16 °. 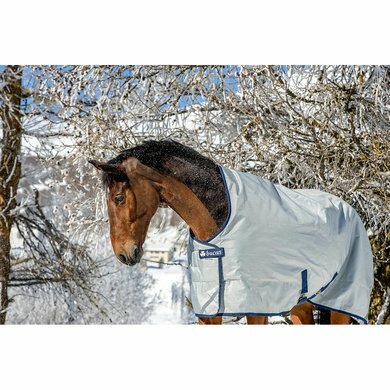 This lightweight blanket makes the laying and changing of multiple blankets totally unnecessary and your horse will enjoy optimum comfort and freedom of movement all winter long. 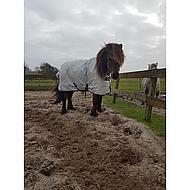 The filling of the Bucas Power Turnout Extra is thermo-bonded, ie the filling forms a whole with the Stay-Dry. lining and not like most blankets locally stitched to the lining. This special filling ensures that the blanket is equally warm over the entire surface and that it is just as thick and warm everywhere after many washes. The unique Stay-Dry lining works like a sweat blanket. 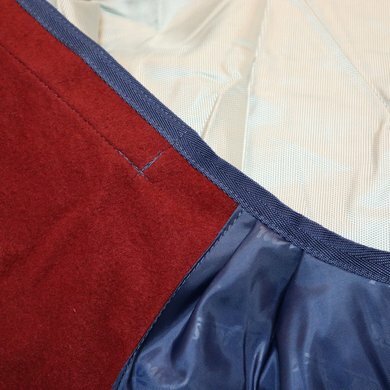 The lining immediately transports moisture out so that the blanket always feels dry and comfortable even when you place it on a wet horse. 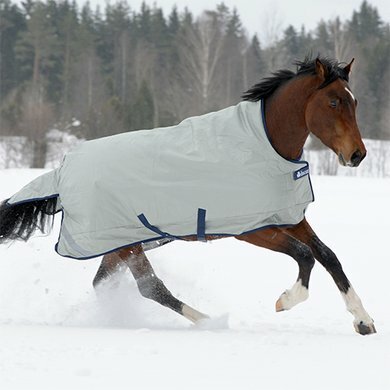 The intelligent system in the lining material ensures that the lining, which is in direct contact with the skin of the horse, remains dry and the moisture is transported to the outer layers of the blanket. 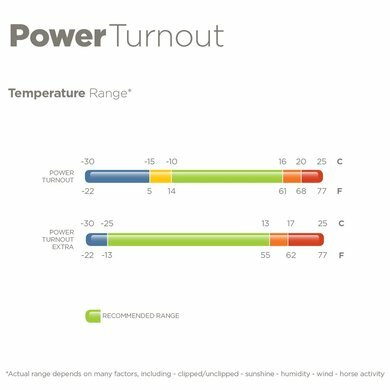 The Bucas Power Turnout lining also has an antibacterial effect to protect the skin and keep the blanket fresh even during continuous use. Extra soft padding on the chest and a smooth nylon lining ensure extra comfort and reduce friction. The blanket is equipped with both practical and safe items such as, elastic buttocks, adjustable cross surcingles, reflective strips on the front and back and the unique, one-hand-click, click 'n go front closure. In addition, this blanket has a high neck. It is super nice blanket. Feels very solid, nice good quality fabric. I bought size 125/168 for my shaved icelandic, with high neck. I also bought the Quilt (150-gram stock blanket. Very happy with it. blanket just a little too big or in use! great blanket for me nothing more than bucas .. not too hot not to keep horse half shaved and above 0 nothing wrong under 0 we still have to experience! Great blanket, especially with the HighNeck, there's nothing on the horse's neck. Good fit. We had ordered the 140s to choose from because we did not know how the blankets will fail. Are falling out. Sure, because it is very bright you can see the dirt more likely, but I think that's not sooo bad. The price here was very good compared to other providers. Sure, a bit expensive blanket, but Bucas quality. And ansich you save again if necessary, a cover-blanket. Beautiful blanket, looks very solid and complete. Unfortunately not the right fit for my haflinger with wide neck, I'm going to try the big neck version. Question: How much DENIR has this blanket? Question: Good afternoon I was wondering if you have a partially shaven horse (only fur on buttock neck and partly neck and legs) this blanket is still warm enough to stand in the barn and outside. Thanks in advance for the trouble I am very curious about the answer. Answer: Usually this blanket is suitable at a temperature between -10 and +16 degrees. The comfort zone is different for each horse. 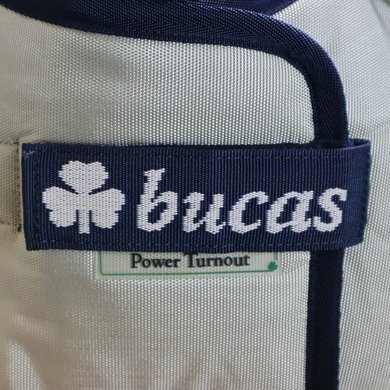 Question: Does this "Bucas Power Turnout Highneck Light Silver" blanket consist of several blankets? (So ​​a rain blanket with an underblanket?) Is it correct that this blanket is meant for the temp. -10 to + 16? and is this for a KWPNer with a big chest and neck? Neck loose? Answer: This is 1 blanket without blankets. 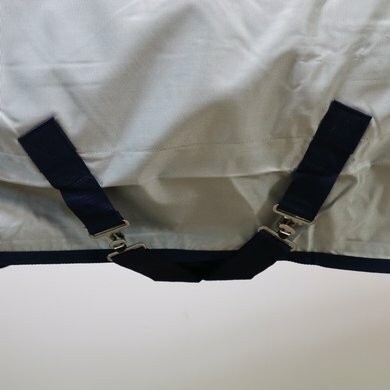 Thanks to the special stay-dry lining, moisture is drained well so that you do not have to apply a separate sweat blanket after your horse has worked. Bucas indicates that on average it is comfortable for a horse to carry between -10 and +16 degrees. About the fit is to say that a high neck gives more space to the neck of the horse to be able to lose. A model like this often works better for horses with a high withers. 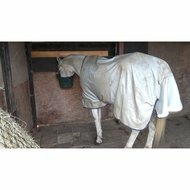 Whether this model is also nice for your horse can only be found by fitting the blanket on the horse in question.